Patio slabs can be implemented in many a different garden and there are a lot of uses and aspects to enjoy should you decide to install a patio in your garden area. When choosing which patio slabs to put into your garden, you may have a number of questions about what makes a specific patio slab the best choice. You may be asking yourself which is the best material to use or which design and colour of patio slab best suits my garden? This article will discuss patio slabs in detail, highlighting the different patio slab materials available in our range as well as the design aspects that we have to offer here at King Acre Landscaping Centre in Codicote. If you have any further questions about patio slabs in Codicote or if you are looking for patio slabs in Codicote then we are more than happy to assist you. Ensure that you visit us today or give us a call on: 0143 882 1887. Which Materials Are on Offer? Concrete is a very useful and practical material to consider when thinking about which material is best suited for your patio design. 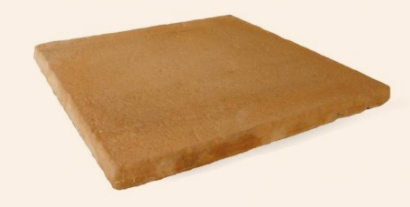 It is very reasonably priced as it is manufactured and it is also strong in conjunction with natural stone. It is also treated to offer other resistances such as increased resistance against cracking as well as temperature resistance. As concrete is also a smooth material, a variety of colours and designs can be added to the material. This results in concrete being a very good choice for the material of your desired patio slabs. Natural stone is also a lovely material to consider for your patio. Natural stone embraces the aesthetic of nature as well as being strong. The natural colouring of natural stone is also very desirable and this is reflected in famous landscaping materials such as indian sandstone. Natural stone can also resist cracking if looked after and maintained correctly. Our patio slabs come in a range of traditional and modern aesthetics and this allows you to choose from a wide range of designs to suit your specific landscaping design. 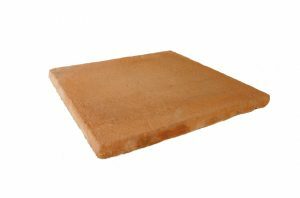 Our patio pacs are also set out in different designs and are one large slab which can be used as the centre piece for your patio. Our chalice circle patio pac for example embraces the traditional aesthetic and has a smooth look and texture making it a wonderful patio slab to use as a patio centrepiece. Our Aurora Circle patio pac creates a bold focal point to your patio and this can be implemented to make your patio stand out in your garden. These patio pacs can be used by the expert landscaper as well as the prospective landscaper as they are fixed pieces of patio. This also offers a design advantage as our patio pacs are very user friendly. Patio slabs are a wonderful addition to your garden and can really serve to enhance your garden area. If you choose to implement a patio in your garden then we are able to assist you on choosing the patio slabs that best suit your needs as well as offer additional landscaping products that you may require such as extras for your patio and other products to enhance your current garden design. If you are considering installing a patio in Codicote then we are ready to assist you. If you require patio slabs in Codicote then be sure to visit King Acre Landscaping Centre today or give us a ring on: 0143 882 1887.